New for 2015! Joey has decided to share his love for music again by teaching beginner electric and acoustic guitar and beginner electric bass! Joey had the pleasure of helping hundreds of players back in the late 80's and early 90's and is looking forward to once again helping new players learn the wonderful instruments of guitar and bass! Joey's approach is simple... and the good news here is that it won't take hundreds of lessons! "At the beginner stage we take things a little slower with the 'basics'... a little theory, know the notes, some scales and patterns, and I even relate it all to the piano so it's kinda like you are getting a beginner piano lesson too! We work on this over a few lessons. This plan of attack also works on a new player's hand muscles to build them up a little. Then we work on a few simple and popular songs to play. After this time we get a good idea of the direction a new player will go in the future and will make a custom lesson plan based on each student's wants and needs." Joey likes to teach 1 student in 90 minutes blocks of time... private and individual... this gives ample time for practice and play and to make sure a student understands the days lesson.... "I always hated when I was taking lessons myself and just when it got good and I was having fun the teacher would say, sorry our time is up today... I also hated it when I took some group lessons and the instructor just didn't have time for me one day.... what did I pay for then?.... I'm not going to let either one of those happen with my students! This also allows a time-frame for those students that unfortunately didn't have the time to practice between lessons - we end up using their scheduled time more for a practice session -and- lesson session. Some people have to schedule a time, and pay for a time, to learn or they just won't do it. It's not my favorite way to teach but I'll do whatever I can, and however I can, to get more people to play this wonderful instrument." STEP #1 - Intro To The Guitar Everyone should start with this session! Have you always been interested in the guitar but don't know where to start? Never even picked up a guitar or held a guitar? Don't know if you could even play the darn thing? LOL... well, Joey will be glad to show you and allow you to do all of that! You can see it, hear it, play it for yourself, and learn some basics before you go out and get or purchase your own guitar! This is also a great way to come meet Joey and see if you like him before you pay him his regular rates for his lessons! Only $25 / 30 minutes If, immediately after this session, you decide to take a future lesson (or lessons) with Joey, you will get your $25 credited towards your lesson(s) if you purchase and schedule a future time for your first lesson on this same day! And shoot, if for some reason you just don't like Joey then you have still learned a little about the guitar and whether you want to play it or not! (yes we are some-what being funny here, everyone loves Joey! But it is a good point... why give someone your hard-earned money before you even get to know them and then get locked in to spending time with them even when you don't like them! Come learn about the guitar and see if you really want to learn how to play it! Get This Session Basically For Free! Price Can Be Fully Credited For Future Lesson(s)! 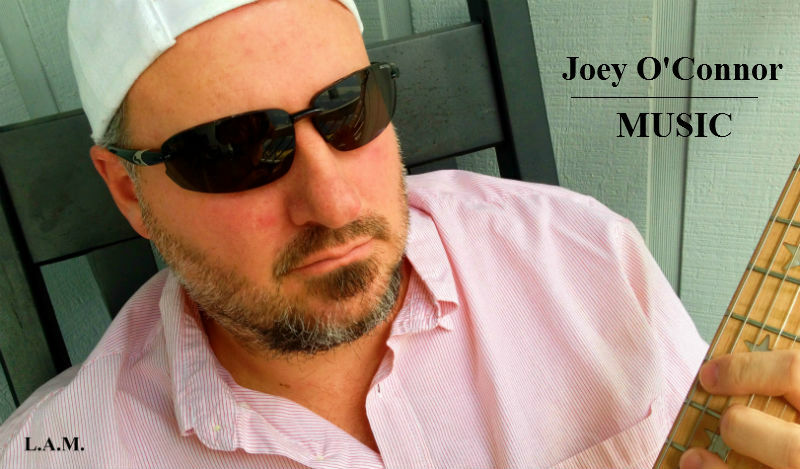 Client/Student will come to Joey's lesson studio in Conway, South Carolina. You will be able to pay by credit card, debit card, or bank draft or log-in to your existing paypal payment account. Please note that for the ultimate in your security, I will never see your bank account or credit card information. Thank you! STEP #2 - Get Your Own Instrument an electric or acoustic guitar... or an electric or acoustic bass (non-stand up style). You need the size/scale that will fit your body style and size of your hand! I ALWAYS suggest that a new guitar player start with an electric guitar! Electric guitar necks are typically smaller and easier to play! NEVER, and yes I mean NEVER, start to learn on a Classical Nylon String Guitar! The neck is just too wide for beginners - no matter how big your hand is! It sounds beautiful but not something for beginners! ALSO, You will not have to spend 1,000's of dollars to start off with so no need to do that at this time.. HOWEVER, please do not purchase the cheapest instrument you can find as it will hurt you in the end! Cheapest usually equals harder to play! The harder it is to play for you the less likely is that you will enjoy it and continue on with it! Here are some good quality examples of beginner electric guitar packages and bass packages. Fender is probably the #1 guitar maker in the world - they certainly have the most recognizable name in the industry! Most models have a little more medium size to large size rounded neck. They usually are set-up with a regular action allowing all popular styles of playing and strumming. Ibanez is a great name in guitars and has always been known for their ease of playability due to their slim and thin neck profile. They usaully have a "lower action" set-up which means it's a little easier to press down to play notes and chords - faster style like rock and roll and heavy metal. This is a great guitar to learn on but not do hard strumming. Another helpful tip.... if you spend a little more money upfront to just get a good quality solid electric guitar, then later on all you would need is a good quality amplifier. Yes, you may get a "guitar pack in a box" with an electric guitar, amp, strap, cables, picks, etc., but as you progress and play better you would eventually need to get a better guitar and amplifier. From time-to-time Joey also has some beginner instruments available for purchase! If you don't select any of the above, maybe you already have an instrument, maybe you run across something at a yard sale or flea market, maybe someone wants to give you one... yes you can contact Joey to see if it's something you can learn on! Again, if it's something you are going to have a hard time with you WILL NOT enjoy it and probably give up on it! READY TO LEARN BEGINNING GUITAR AND TAKE LESSONS WITH JOEY? » » Beginning Guitar Lessons - 3 Lesson Plan Buy 2 lessons and get 1 Free! Only $65.00 each for (3) 90 minute lessons -OR- Only $55.00 each for (3) 90 minute lessons for those that have attended the Intro to the Guitar session above. Please note: All lessons in this plan must be taken in 3 consecutive weeks - 1 lesson each week for 3 weeks. Client/Student will come to Joey's lesson studio in Conway, South Carolina. Please note: All lessons in this plan must be taken in 3 consecutive weeks - 1 lesson each week for 3 weeks. You will be able to pay by credit card, debit card, or bank draft or log-in to your existing paypal payment account. Please note that for the ultimate in your security, I will never see your bank account or credit card information. Thank you! to pay $165.00 for 3 90 Minute Beginning Guitar Lessons with Joey after attending the Intro To Guitar Session (One Time Use Only) Client/Student will come to Joey's lesson studio in Conway, South Carolina. Please note: All lessons in this plan must be taken in 3 consecutive weeks - 1 lesson each week for 3 weeks. You will be able to pay by credit card, debit card, or bank draft or log-in to your existing paypal payment account. Please note that for the ultimate in your security, I will never see your bank account or credit card information. Thank you! » » Beginning Guitar Lessons - 1 Lesson You have your own instrument and want to learn how to play it! The 'basics'... a little theory, know the notes, some scales and patterns, and it's even related to the piano so it's kinda like you are getting a beginner piano lesson too! Only $95 / 90 minute lesson -OR- Only $70 / 90 minutes for those that have attended the Intro to the Guitar session above. to pay $70.00 for 1 90 Minute Beginning Guitar Lesson with Joey after you have attended the Intro To Guitar Session (One Time Use Only) Client/Student will come to Joey's lesson studio in Conway, South Carolina. You will be able to pay by credit card, debit card, or bank draft or log-in to your existing paypal payment account. Please note that for the ultimate in your security, I will never see your bank account or credit card information. Thank you!